Almost three years ago, Jennifer Winters made the hardest decision of her life. She gave up her baby for adoption. Now she just wants to see the child to make sure she’s happy and well. She must be–she was adopted by a secure, middle-aged couple. But the middle-aged couple doesn’t exist. 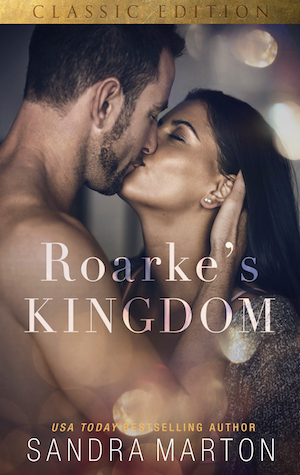 In their place is Roarke Campbell. Is it he who adopted Jennifer’s daughter? The only certainties are that Roarke is a ruggedly gorgeous, emotionally unapproachable billionaire–and that once Jennifer goes into his arms and his bed, she’s on a one-way ride to disaster.